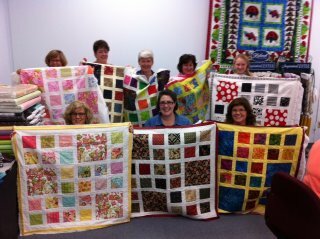 Among Friends Quilt & Sewing Center, established in 2003 as Among Friends Quilt Shop, is owned by Wendy Vetter. It is one of the largest quilt shops in the state of Kentucky stocking over five thousand bolts of quality cotton fabrics, over 1,000 book and pattern titles and hundreds of tools and notions. Among Friends was featured in Better Homes & Garden's Quilt Sampler Magazine as a Top Ten Shop in 2008. At Among Friends you will find your favorite fabrics from the top manufacturers of quilting fabrics such as Moda, Hoffman, Riley Blake, Michael Miller, Free Spirit and many, many more. Fabric styles include brights, batiks, florals, novelties, traditional, reproductions, Cuddle Cloth plush, hand-dyed wool and more. Among Friends Quilt & Sewing Center is proud to sell Janome and Elna sewing and embroidery machines and has been honored as being a top ten dealer in America. The Janome and Elna trademark has always symbolized quality, innovation and service. We also offer machine servicing and repair by our Janome/Elna factory trained technician. The Janome/Elna brand stands for excellence and quality, something we care very much about for our customers. As an authorized Koala Studios Showcase Dealer, we are able to offer beautiful and functional custom built sewing furniture. 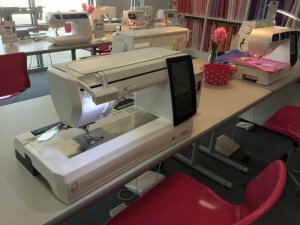 Stop by our showroom and let us help you design a studio that meets your sewing needs. 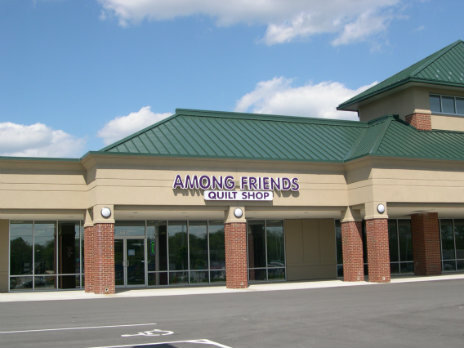 Among Friends Quilt & Sewing Center is an award-winning Handi Quilter dealer. 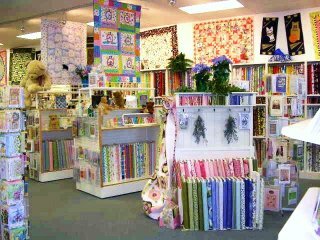 As a full-service dealer the shop is stocked with an inventory of products for the mid- and long-arm quilter. If you haven’t seen a Handi Quilter home quilting machine or the Pro-Stitcher lately, call today to schedule a private demonstration. Wendy has strived to create an atmosphere that is inviting and friendly. The shop’s café provides a place where you can meet with friends and drink a cup of coffee on the house. You can sit and relax on one of the two leather sofas (we call that area “Husband Parking") while browsing through the huge selection of books, magazines and patterns. Traveling? Families are welcome at Among Friends, where there is a something for everyone complete with TV. Also in this area are puzzles and toys for the little ones to play with as well as videos to watch. This will occupy the family while you shop. And if you like to travel, why not travel with us. In 2014, we added quilting tours to our shop services. 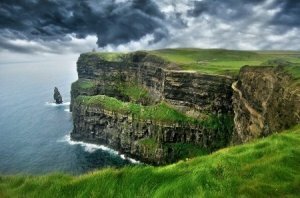 Working with CIE Tours, International, we are able to provide excellent opportunities to travel with a group of people with similar interests to visit interesting places. This year we will be taking a 14 tour of Scotland and Ireland. It is sure to be a delightful adventure. 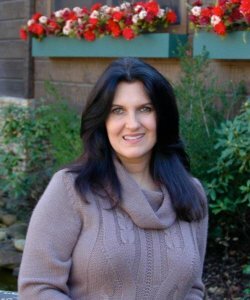 The friendly staff at Among Friends is always ready to assist you with your fabric selection, answer your questions or to assist you in any way that we can. Having a problem with a project? Bring it by and we will try to help you get past your frustration and on to having fun with it again. We are here to serve. Education is important and a great emphasis is placed on it here. With a 1,200 square foot classroom equipped with 8 foot tables, padded chairs and bright full-spectrum lighting there is plenty of room to spread out and be creative. Colorful quilts adorn the walls to create a pleasant and cheerful atmosphere that is conducive to learning. We believe that there is always something new and exciting to do and learn and we want to help you discover it.